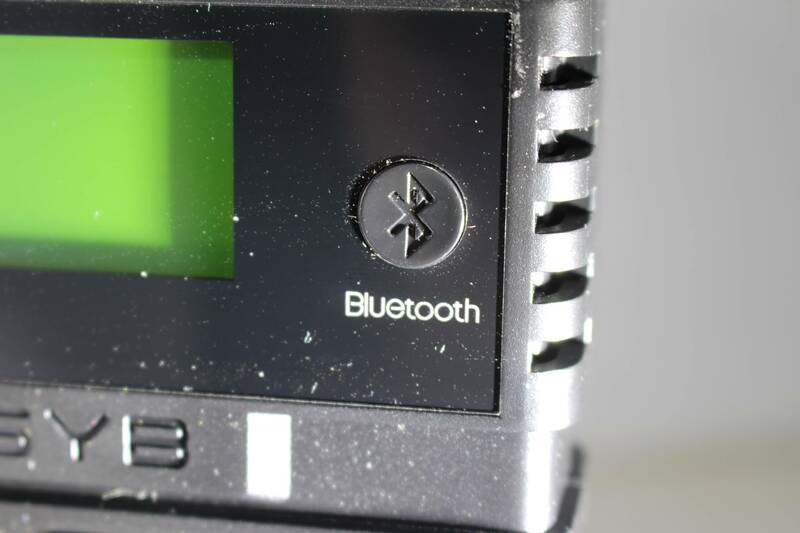 Home Accessories The BEST ESYB E4 Bluetooth Charger Review! Not your average everyday kind of charger. 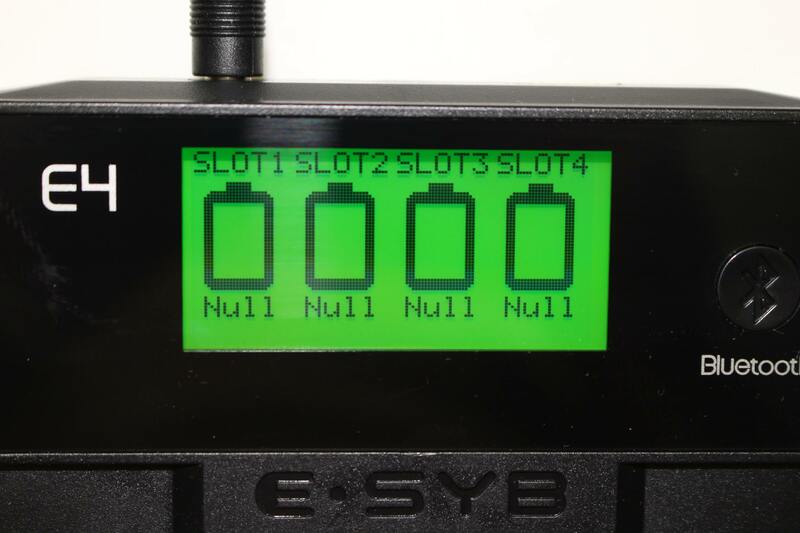 This is the ESYB E4, which uses Bluetooth technology as well as charging currents up to 2A! 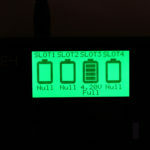 As with any charger, place a battery in one of the slots, and after about 5 seconds the green display will come alive. 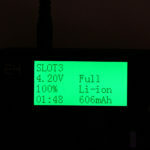 It’ll first show the current voltage of the seated battery along with the word “wait”. 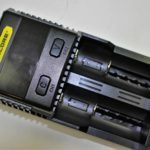 Lithium-ion and LifePO batteries are automatically detected as Li-ion. 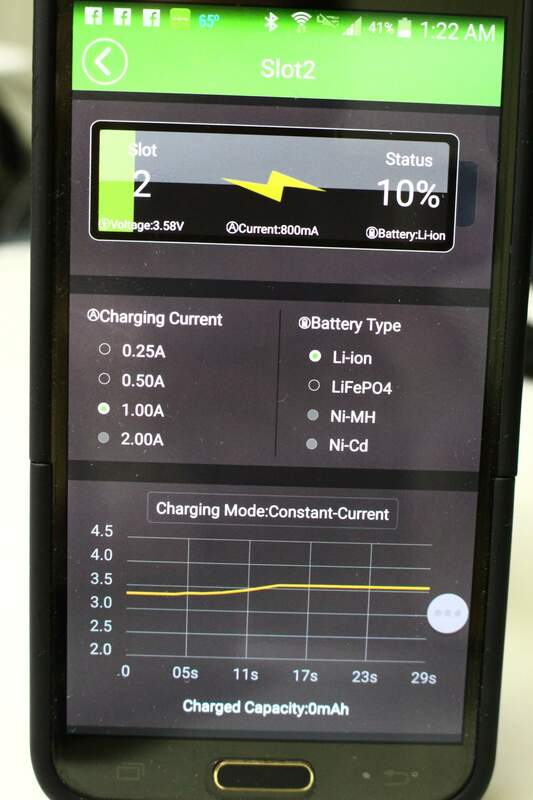 If you do nothing, charging will begin at a default current of 0.5 amps. If this is unacceptable, press the button under the corresponding slot. It’s on the next screen that you’ll have the opportunity to change the current. This is done by subsequent short presses. 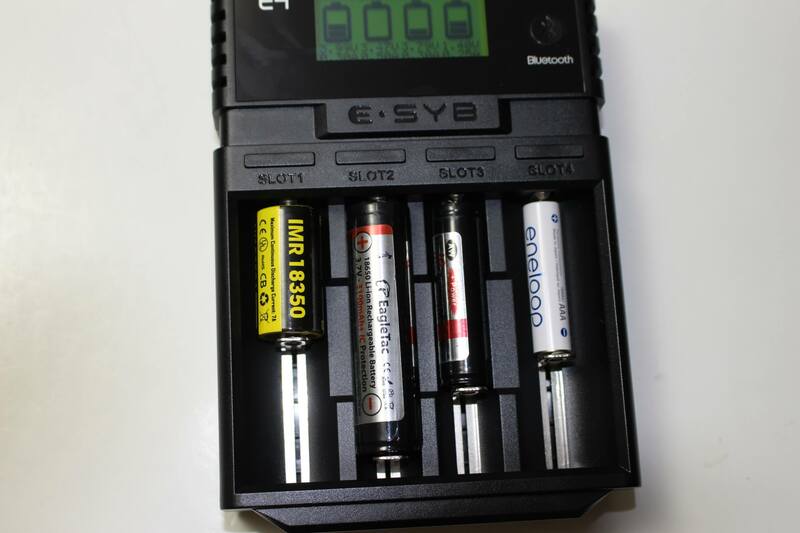 A long press of the same button will change the battery type. 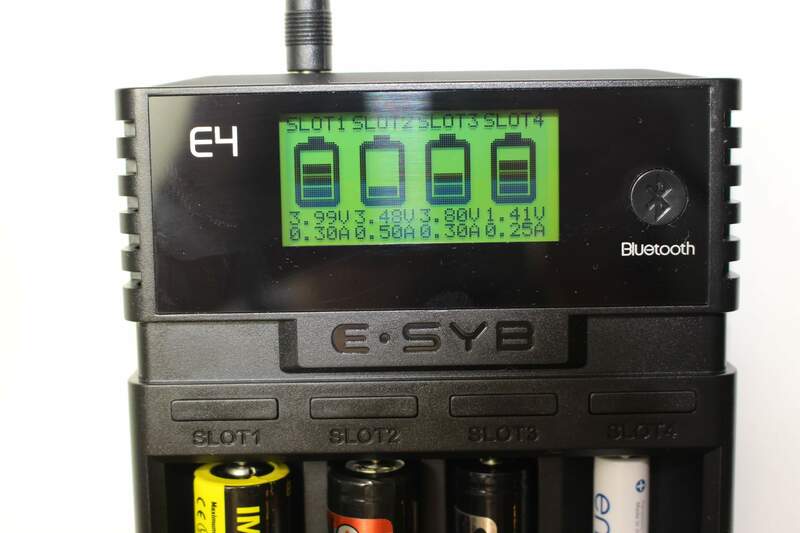 Just about any battery size can be charged in the E4. 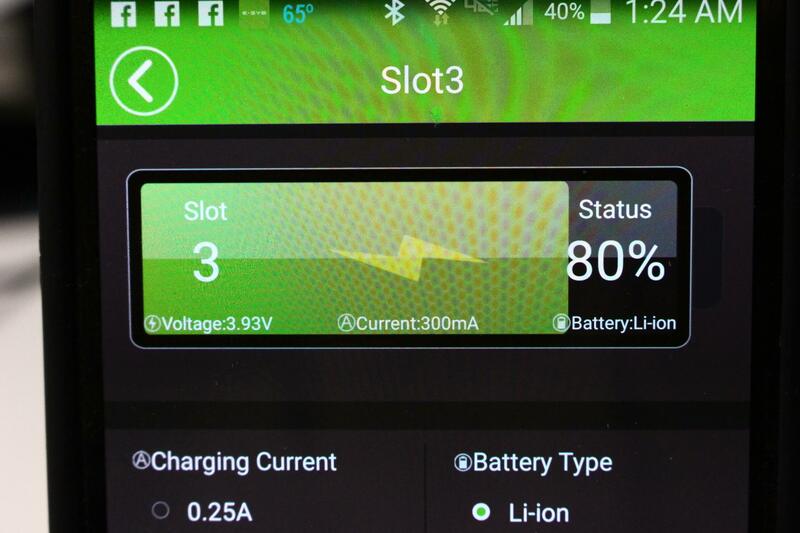 Charging detail within the display is quite comprehensive. 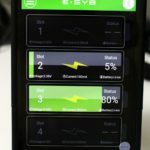 In picture two, each charging bay displays a visual of the battery charge and underneath shows battery voltage and how much current the battery is getting at the moment. 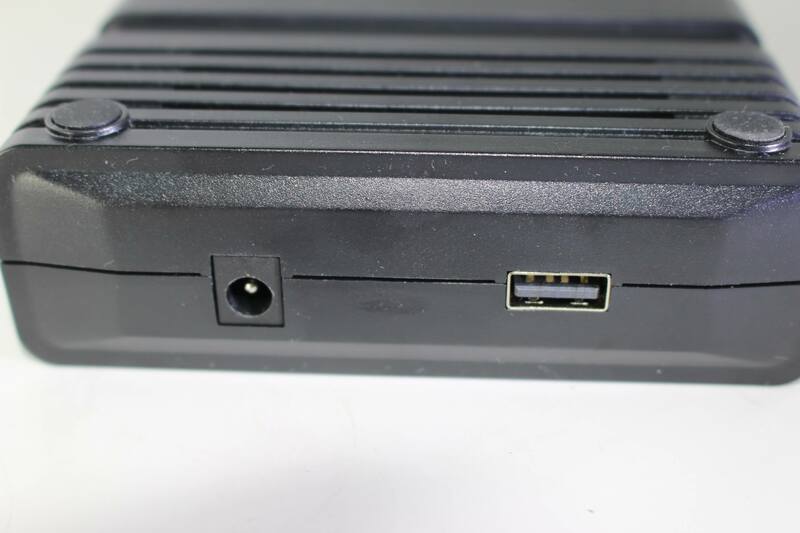 In picture three, this is the display you see after pressing one of the slot buttons. This has lots of helpful info. 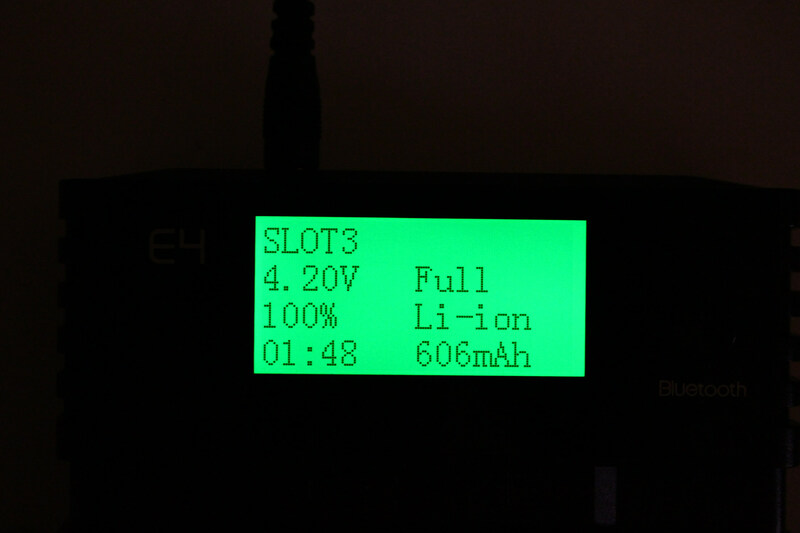 You will notice (from the last two pictures) that when charging has completed, the battery voltage shows 4.20v. 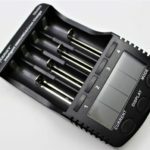 Li-ion batteries RARELY end up at 4.20 volts. 4.14 – 4.18 is considered safe and typical. 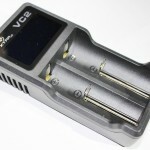 To verify actual voltage, you’ll need to check them on a multi-meter. 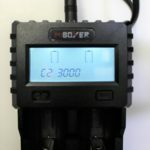 Available currents from which to select on the E4 are 0.25A, 0.50A, 1.0A & 2.0A. 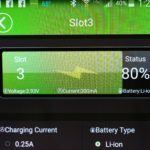 Now, even though all chargers proudly boast their available currents, what you may select from depends on which slot you use…and with how many batteries. 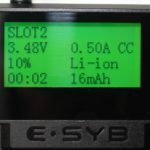 In this regard the ESYB E4 is no different. 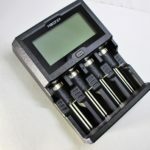 For NiMH 1.2 volt batteries, the MAXIMUM charging current is 0.25A. Why… I don’t know, but it is. 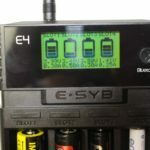 If you charge a lot of NiMH’s, and consider this a problem, then the E4 is probably not for you. 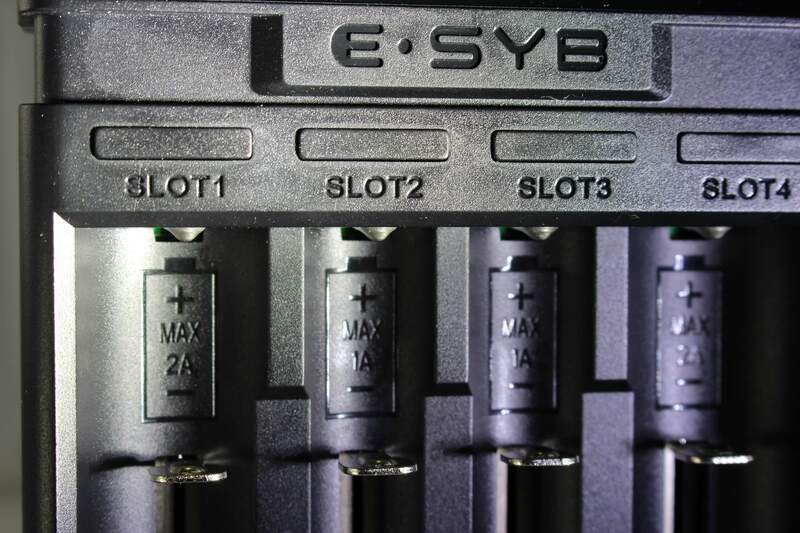 The E4 limits the number of bays that each battery will charge at a current of 1 amp, to three. 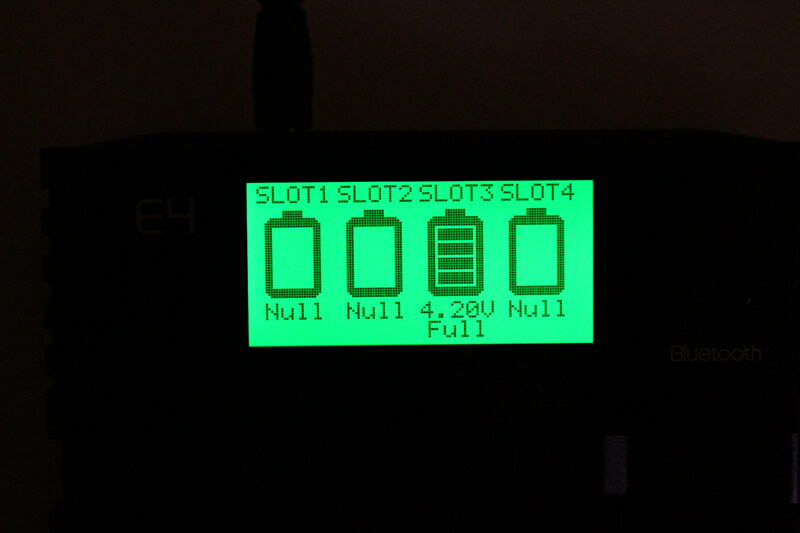 If a fourth battery is added, all FOUR slots will ramp down to 0.50 after “USB 5V Discharge Mode” is flashed in the display. On the back of the E4 box is a bar-code. Scan it with your Apple or Android phone and download the ESYB app. Once you’ve done that, you can press the “blue-tooth” button on the charger and sync it with your phone. 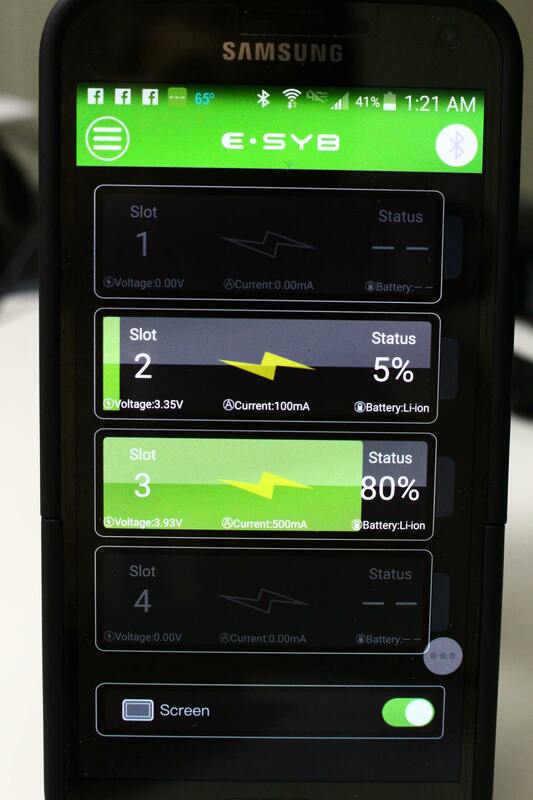 Once synced, everything you could want to know about the batteries in each of the four slots, is displayed on your phone! The accompanying photos show the impressive detail that the app displays. 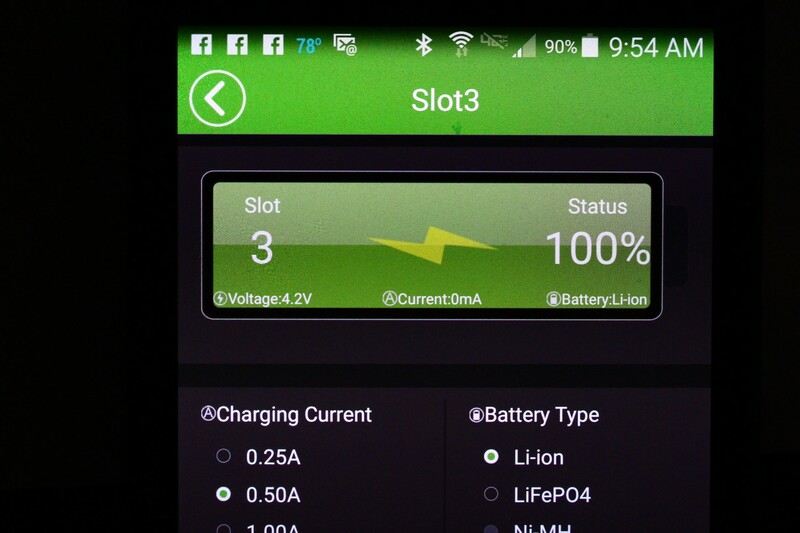 Everything that you see on the slot detail screen (on the charger itself) is also shown on your phone… with the addition of a charge curve graphic! Very nice! In using the app in my house I had no problems with the unit and my phone communicating between floors. 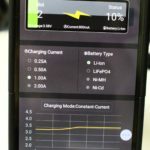 It’s very handy to be able to check on your charging batteries while you’re sifting through social media pages on your phone… without actually looking AT the charger. Then when the charge is finished, you’ll get a notification on your phone. 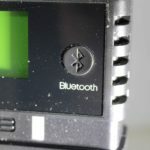 This is a built-in safety feature which prevents serious damage to a battery that (for some reason) is taking too long to charge. 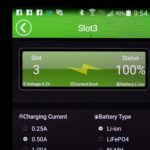 For example if the charger is still working on a cell for over 18 hours at a 0.25A current, or in excess of 10 hours under 1A, or 5 hours under 2A… it will automatically cancel the charge. 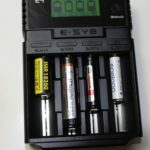 This can be handy for consumers who are using either old or inexpensive batteries that have worn internally and refuse to charge normally. 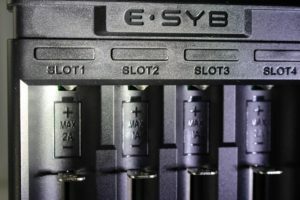 I don’t have any serious bones to pick with the ESYB E4. My wish, would be that the completed charge showed the ACTUAL voltage instead of the “nominal” voltage. It’s an extra step to have to check it on the multi-meter… but I guess I can live with that. 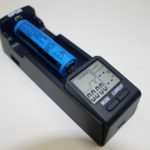 As I said in an earlier paragraph, charging more than two batteries at a time will usually mean that the charging current might be limited to 0.50A, even after starting at 1A or higher. 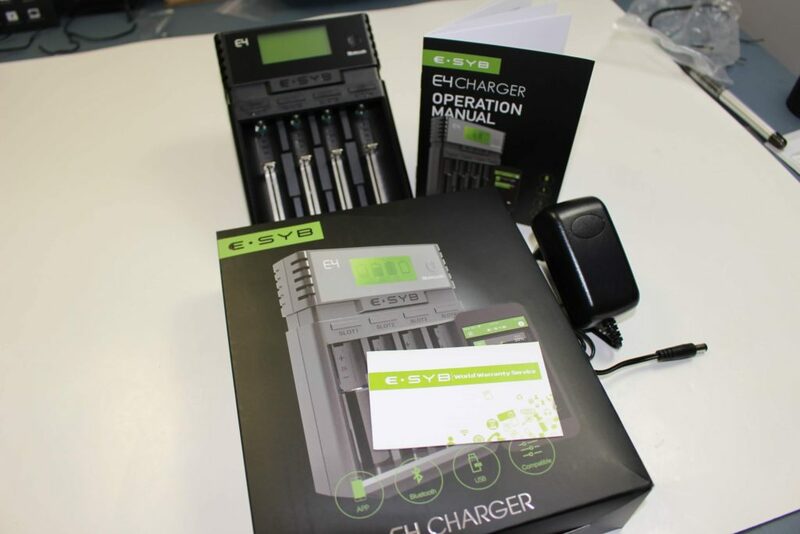 It’s definitely a handy unit and the bright green display is easy to read. 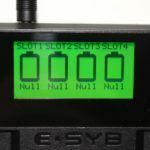 I’m going to recommend the ESYB E4 for a variety of reasons… which by the way was provided for review by GearBest! 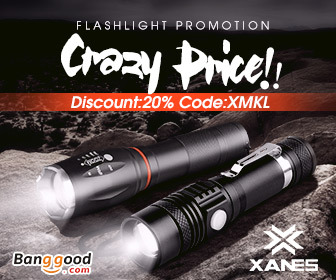 Please visit their site for a very competitive price! And to ensure that, you can use coupon code “ESYBE4GB” at checkout.